I’m crossing my fingers in hopes that you and your business never have to face a crisis. However, I can’t promise that these positive vibes I’m sending you will do you much good. With that in mind, I’m also going to give you a piece of advice: have a plan in place for how you will respond should a product fail, a public lawsuit occur, an accident happen, or any other devastating event take place…and make sure you include Twitter as part of your frontline defense. 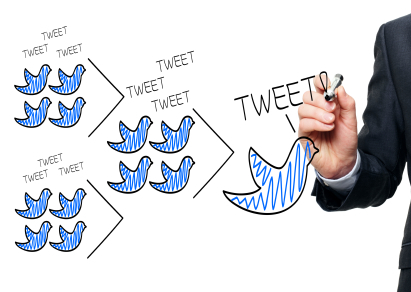 Why Use Twitter for Crisis Communication? While Twitter shouldn’t be the only facet of your crisis communication plan, plenty of reasons exist why you make sure that you use it wisely in the face of a real problem. First of all, remember that we live in an “I want it now” generation. And thanks to the web, people can retrieve breaking information, ask questions, and spread outlandish rumors faster than ever. Due to the constantly moving nature of Twitter, the platform is one of the fastest ways to get and share news. That said, you can fire out a string of well-written tweets to address a crisis much faster than say, get an interview on the local news at 5. Now notice how I said “well-written tweets.” Hopefully the danger here is obvious. While we hail Twitter for the manner in which it speeds communication, it’s also important that you understand the necessity of choosing your words wisely. Since it’s so easy to fire off a Tweet, many people and businesses have found themselves creating more problems for themselves rather than cleaning things up. Want a good example? Okay, how about United Airlines? While this situation may not have been large enough to be labeled a crisis, they did have an upset customer berating them on Twitter. Meanwhile, whoever runs their Twitter account didn’t read the Tweets carefully enough and decided to respond sarcastically, not realizing the customer was actually mad. The result? They looked like idiots and were forced to apologize. So how can you make sure you handle the crisis properly on Twitter? Have a plan in place. First and foremost, strategy is key. Most people fail at crisis communication for the simple fact that they have no plan. Because they think it will never happen to them, they’re left scrambling when it does. Don’t let this happen to you. Instead, know how you will respond and who will be in charge of the response. Make sure your identified spokesmen are well-trained to handle such pressure. Listen to what they’re saying. Make sure you’re involved with Twitter prior to a crisis. And I don’t mean you send out random Tweets about yourself every few weeks. No, join in on the conversation and listen to what people are saying—about you and about anything else related to you and your customers. Think before you Tweet. As mentioned above, simply firing out a quick response is dangerous. Yes you have to respond quickly to avert rumor and disaster, but you also need to handle the situation carefully. After all, it’s hard to say which is worse: no response or the wrong response. Be proactive. Unless you have really good legal reasons for delaying your response, the best bet is typically to address the situation as soon as possible. That means put the facts out there, let people know of your concern, detail what you’re doing right now to respond to the crisis, and issue an apology if it fits the situation. The more proactive you are, the more you can fend off the negative wave of publicity that’s sure to come crashing on your shores. Do you have a plan for in place for crisis response? Have you used Twitter to address a crisis situation? Or maybe you know of a good example of someone who has? Tell us about it! It’s important to have a crisis management plan in place before anything even happens. If someone complains, read the complaint and don’t immediately respond in an aggressive tone. Apologize and offer to make good on the situation. Customize the message for each individual. Nobody wants to see a generic apology that is used over and over.